Even Charles Haughey can hardly have dreamed of how big financial services would become when he helped establish the International Financial Services Centre (IFSC) in Dublin in the late 1980s. 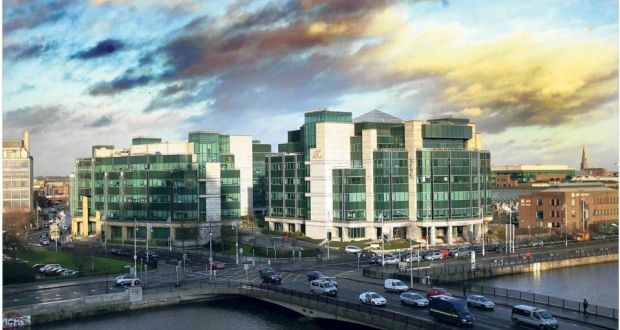 Almost 30 years later, the sector has expanded outside its Dublin docklands home to to employ about 35,000 people – with up to 30 per cent of them based outside the capital. Even though its reputation took a battering during the economic downturn, it still managed to grow by 20 per cent between 2009 and 2012. In fact, the Government projects that at least 10,000 more jobs will be created before the end of the decade. Policy-makers and industry groups now face a question shared by other surging sectors of the economy: will there be enough skilled graduates to meet the anticipated demand? Ahead of tomorrow’s CAO “change of mind” deadline, third level institutions are trying to attract school-leavers to a diverse range of related courses in data analysis, business, economics and accounting to help meet demand. Increasingly, however, employers want more than a deep disciplinary knowledge about a particular area. They are looking for graduates who can combine skills from different areas – such as digital and financial service skills – and operate effectively across disciplinary, social and cultural boundaries. Like in many other sectors, the convergence between technological advances and financial services is accelerating. The State’s advisory body on job trends, the Expert Group on Future Skills Needs, says the rise of financial technology – or fintech – will create a strong demand for skilled graduates. Fintech firms are focused on easing payment processes, reducing fraud and saving users money, but they rely on highly skilled people with a knowledge of both ICT and finance. The rise of “big data”, in particular, is likely to be an area of strong growth in the financial services area, with companies hungry for workers who can combine data analytics with financial knowledge. Another area of job growth within financial services is likely to be in funds and asset management. Since 2010, about 2,000 new jobs have been created, bringing overall employment to over 13,000 in this sector. Regulation expertise is the number one skills need, as Irish funds play a greater role in governance and oversight. Aviation financing, too, is set to be key, according to the Expert Group on Future Skills Needs. With over 30 of the biggest aircraft leasing companies based in Dublin and Shannon, it is a world leader in the sector. Over the next two decades, the sector is forecast to rapidly expand and Ireland may well attract half of that demand. The skills are hard to come by, however, and require staff with commercial and technical skills, along with industry knowledge. When PricewaterhouseCoopers surveyed the chief executives of financial services across dozens of countries, it found workers able to combine these skills were among the most highly prized. “These people will have the varied technical skills and multi-industry experience to move easily between clients, countries and assignments,” the report, A New Take on Talent, said.